So for today's "resource" - it gets a little technical ;) But it's super simple. I occasionally get questions on how to use a blog layout or upload a new template so I decided to just post this for everyone. 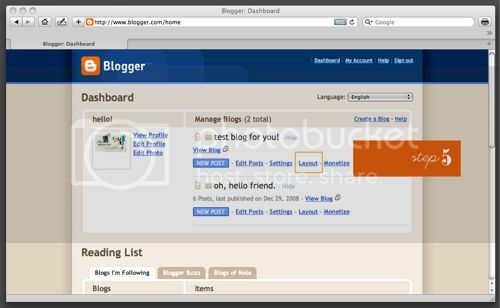 This is for blogger users only: sorry I don't know anything about wordpress or typepad. These images are rather small so if you want the full size images so you can see the detail, go here. 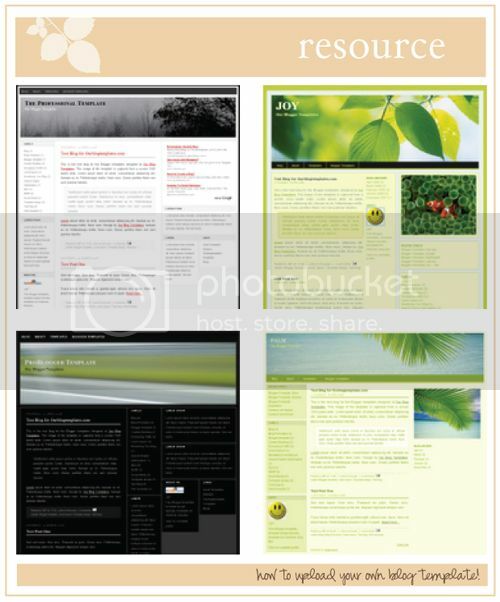 So, you can browse these free blog template sites and find the custom layout you want to use. Your rest of the post here blahh..
1) Find the template you want and Download template. 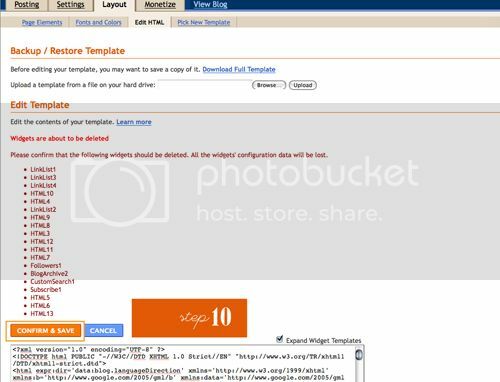 For this example, I am using "Sunshine" -- Click "Download Template"
2) It might take you to a page where the template is available for download. Click the "download" button. 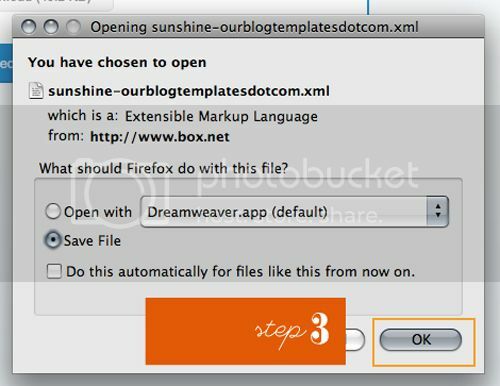 3) Your computer will then open a box asking you if you want to open the file or save the file. 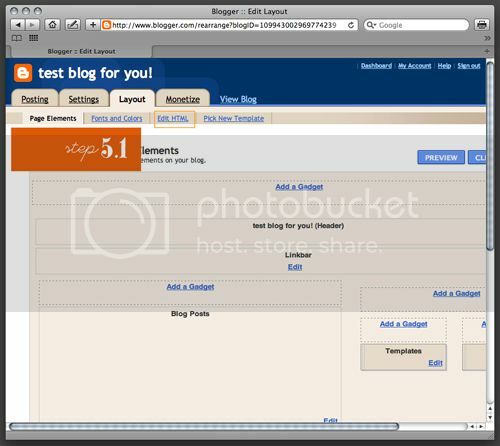 (This will also appear on a PC) Click "Save File" and hit OK.
4) You will have then downloaded a .XML file which is the file that has all the code for your new blog layout! You do not open this -- you simply upload it to blogger. You must locate it on your computer. Windows users, I am not sure where it might go - perhaps "My computer" ? 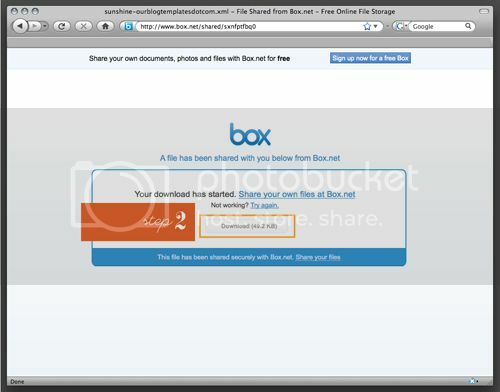 Mac users: it probably will place the file in your "downloads" folder. 5) Click "Layout" which is a 'tab' at the top. 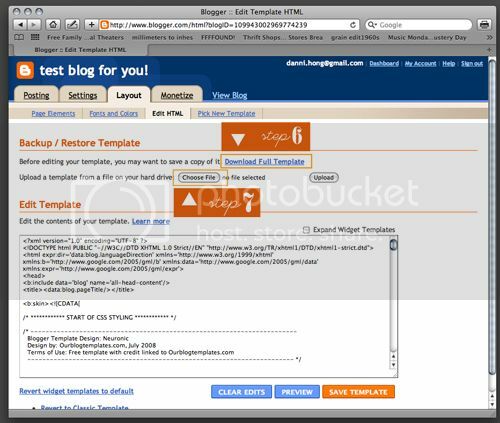 Then click "edit html"
6) Before you upload anything new, you'll want to first "Download Full Template" to save a copy of your current blogger template, in case you don't want to go back! 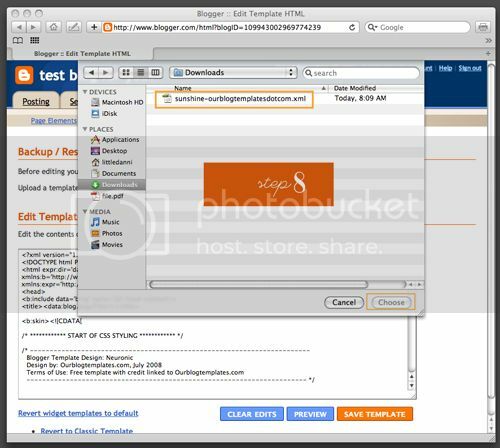 7) Once you've saved a back up of your template, click "choose file" or "browse"
8) Locate the .XML file and click Ok.
10) You might receive a message saying your blog widgets/lists/etc will be deleted. 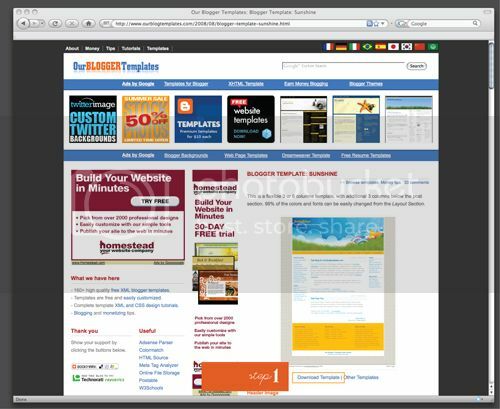 In the past, I have always just recreated these (very time consuming) but last night, found this article: How to change a blogger template without deleting the widget! so try reading it to see if you can save your sidebar items! AND THAT'S IT! :) A new blog layout in only 10 easy steps! just comment if you have any questions and i'll try my best to answer them. from the bottom of my heart - Thank You. I had one mission today - to try and figure out how to improve my blog by changing the template. Can't wait. I needed an upgrade - its so nice I don't have to go looking on my own. this is amazing, i really needed it.thanks. i am starring this in my googlreader so i can utilize it later :) thank you so much for the info!!!! Oh my, I love your blog. It's so lovely! I did have one comment, though--every time I try to right click on a link to open it in a new tab, I get a little message that says, "this is all original content, etc." Certainly I don't want to take anything, but I've never been to a blog where you can't open posts/links to other sites in a new tab. I often want to click on your links without losing your blog. Could you maybe make this happen just on photos, and not links? Just a thought! Oh, wow, I'm really glad I found this post! I've been wanting to update my blog, but don't know much in the way of technical things. This definitely will be a step in the right direction, thank you! Also, I downloaded the desktop calender and it looks so pretty! I love your blog. Thank you so much for the tip! !